Two New Color Changing Music Systems From iHome Feature Customizable Smart Button — Live. Life. Loud. 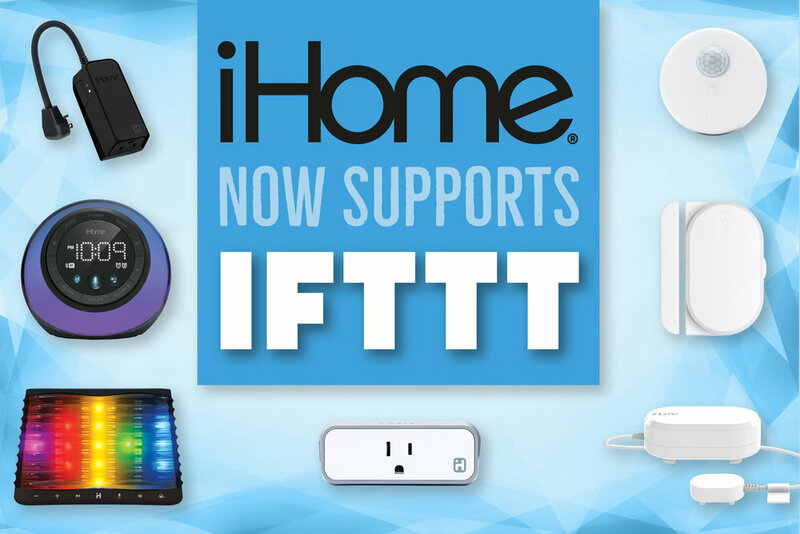 RAHWAY, N.J. – June 12, 2018 - iHome, the leader in award-winning speakers, portable devices and smart home control solutions, today announces two color changing music system options, iBT297 bedside Bluetooth clock radio and iBT751 portable Bluetooth speaker, that feature iHome’s Smart Button. When connected to a Bluetooth mobile device the Smart Button works as a one-touch preset for music services such as Spotify, Apple Music and iHeartRadio and can be programmed to control many popular smart home devices using IFTTT integration. IFTTT (IF This Then That) is a smart home platform that connects virtually all popular smart home devices. With IFTTT users can program the Smart Button to control devices like lights and thermostats with a touch of the button. It can even trigger a combination of these activities with a single press. The Smart Button also works seamlessly with iHome SmartPlugs. There are also preset options for short and long presses of the Smart Button. 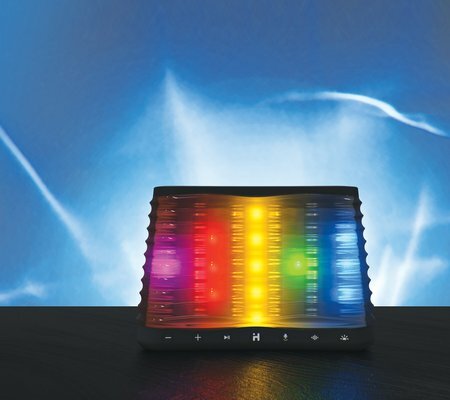 In addition to bridging the gap between music system and IoT device, both new systems offer an array of useful features and unique eye-pleasing LED light patterns that can be easily configured via the iHome Enhance app for iOS and Android. 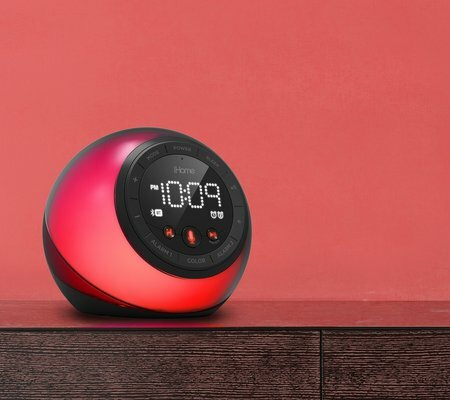 Featuring a futuristic, translucent, spherical, tabletop design and adjustable LED case illumination, users can change the color of their alarm clock to fit their mood. It supports push-button access to Siri and Google Assistant, providing users access to their smartphone’s built-in voice assistant. It also allows users to control their music and stream from services like iHeartRadio*, Spotify** and more via Melody voice assistant app. The iBT297 truly “shines” as an alarm clock and can wake users with Bluetooth audio, FM radio or four pre-set alarm tones. It also has seven wake-to-light modes that complement the audible alarm with visual stimulation. As a music player, the iBT297 features an integrated FM tuner with six preset options and has Bluetooth for streaming music from smartphones or tablets. The iBT297 (MSRP: $69.99) is available today at retailers across the USA, including Amazon, Best Buy, Bed Bath and Beyond and others. With its portable form factor and integrated atmospheric projection lighting, the iBT751 can create a fun and inviting ambiance anywhere. It has five color changing modes that produce fabulous color effects which can be controlled via a free app. The iBT751 lets users stream music wirelessly and take calls over Bluetooth. It also works with the Melody voice powered music assistant app to control and play music from iHeartRadio*, Spotify** and more. For those that like to keep it old-school, the AUX-in jack lets users plug in their devices equipped with a headphone jack. With powerful stereo drivers featuring Reson8™ technology, sound is rich and detailed. It operates on an internal rechargeable battery and charges via the included USB charging cable. The iBT751 (MSRP: $79.99) portable color changing Bluetooth speaker with LED projection lighting and integrated Smart Button will be available later this month at leading retailers across the USA. For more information about iHome and its products, please visit www.ihome.com or on Facebook (facebook.com/iHome), @iHome on Twitter or @iHome on Instagram.